This "Refined Original" by Montage is quite a show-stopper, few words are needed to describe the elegance of this spectacular piece by R-Way. 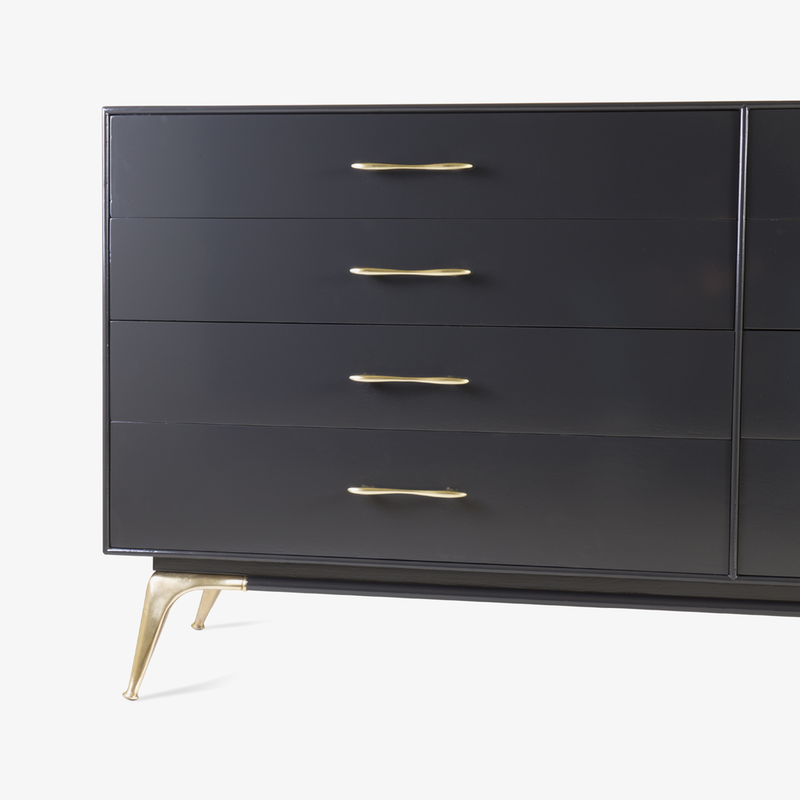 The Montage Workroom team fell in love with the exquisite brass hardware of this dresser, original to the design of the piece, clearly reserved for R-Way's most premium collection of furniture. The great Eliel Saarinen designed for the manufacturer and his essence is very much evident. This piece was carefully stripped and high-gloss lacquered in the color Smoke; a rich gray that borders Ebony. 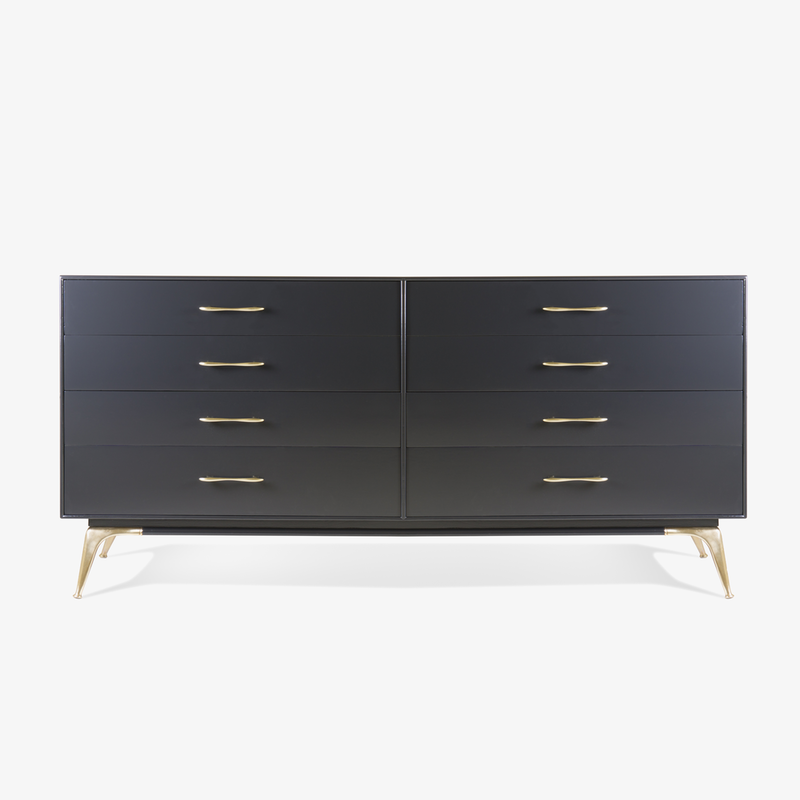 This color allows for the polished brass hardware to simply glow on the piece which features 8 solid-brass curvaceous bars and 4 brass splayed legs. Within remains the original manufacturer's tag identifying its original owner, a subtle touch of exclusivity for a high end piece such as this. Today the piece not only makes for a stunning dresser but a buffet as well. Its monochrome tone allows for it to exist with ease within a multitude of interior environments.